From DN15 to DN400, from PN10 to PN760, for cryogenic service, for oxygen service, for coldbox installation, made of stainless steel, made of aluminium, made of bronze, with BW ends, with SW ends, flanged ends, etc. From DN15 to DN200, from PN10 to PN760, for cryogenic service, for oxygen service, without or with spring, made of stainless steel, made of bronze, with BW ends, with SW ends, flanged ends, etc. From DN15 to DN200, from PN10 to PN760, from Cv=0,5 to Cv=714, with linear characteristic or with equal percent characteristic, with conventional or smart positioner, with air filter reducer, with solenoid valve, with volume booster, with limit switches, with BW ends, flanged ends, for cryogenic service, etc. 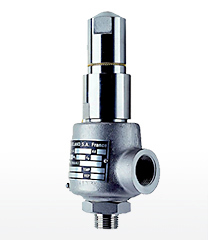 Spring loaded, seat orifice from 6 mm to 12 mm, set pressure from 0,5 bar g. to 460 bar g., made of stainless steel, made of bronze, without or with lever, for cryogenic service, for oxygen service, for warning purpose, for thermal relief purpose, threaded ends, with BW fittings, flanged ends, etc. 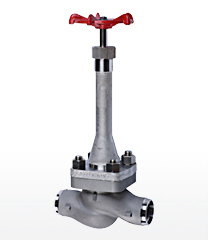 Globe valves, check valves, safety valves, control valves, etc designed for cryogenic service, i.e. 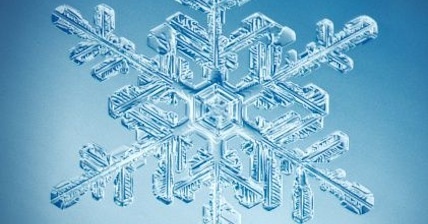 for low temperature flowing mediums (less than -150°C) such as liquid nitrogen, liquid oxygen, helium, hydrogen, etc. 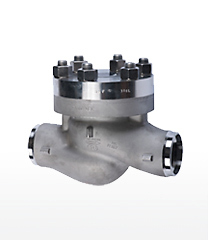 These valves are made of suitable materials and have specific features such as extended bonnet, coldbox installation features, etc. They are mainly used in air separation units, cryogenic pumps and storage tanks. 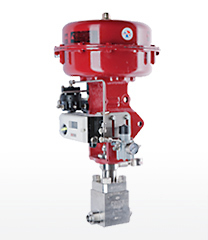 Globe valves, check valves, safety valves, control valves, etc designed for gaseous oxygen service. These valves are made of suitable materials and have specific features such as extended stem and remote handwheel for installation behind a barrier, throttling plug, etc. 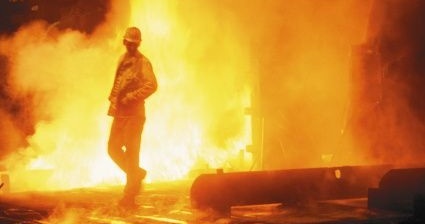 They are mainly used in steel plants.